Canned foods make up a large part of a real food pantry. But you know how easy it can be to have a can or two get shoved into the back of the pantry and forgotten. When it finally gets dusted off, it’s either expired or you’ve bought three more because you didn’t even know you had it. 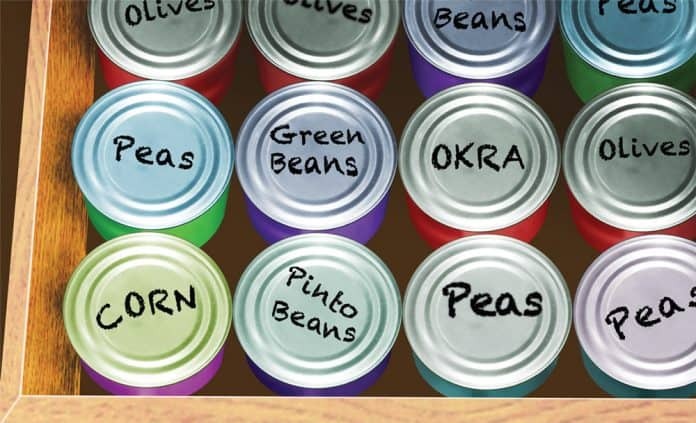 Here are 10 Ways to get those canned food storage problems sorted! 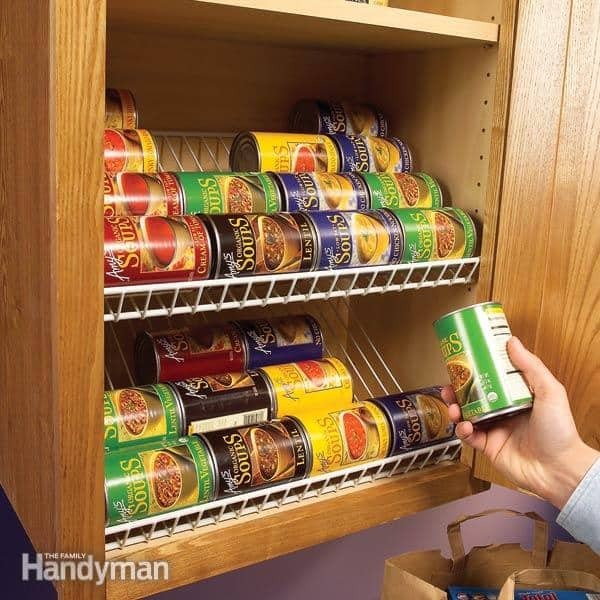 You can avoid wasting time and money with a few simple can storage tricks. From simply rotating cans as you buy them and stacking the newer ones in the back to redesigning an entirely new area for can goods storage, I guarantee that you will find a canned storage solution that suits your kitchen right here. 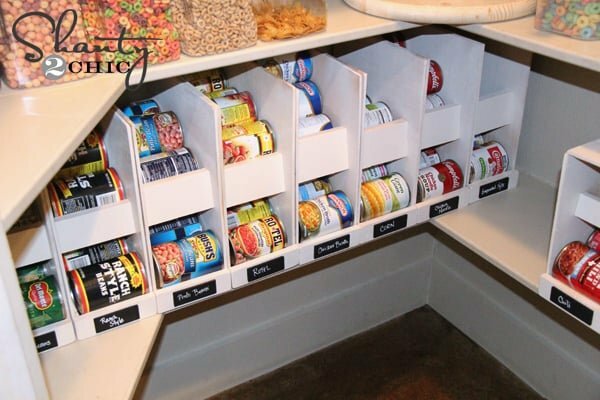 10 of the Most Organised Family Pantries Ever! We had a mouse in the pantry last week. I’m not sure how long it’s been living there, and I wouldn’t have known about it except that the generally lazy cat woke up and became obsessed with my pantry. We are trialing some new cat biscuits, so I thought that was the attraction. On Saturday night, she figured out how to open the pantry door and knock down the entire shelf of canned goods. It was 4.20am and I thought the house was falling down. Cat was OK. Mouse was not. Sunday morning I had to sort the pantry and fix a broken shelf. Cursing the cat the entire time. Still have no idea how she managed to break it. May just be time for a diet. My pantry takes a lot of TLC. It’s not the ‘sort once and never again’ kind of pantry. It’s the hub of the kitchen so I think it’s more of a once a month thing and maybe, if I really ignore the mess, once every two months. But that is pushing it. It’s also the reason the abovementioned mouse went unnoticed. So I think I need to stick to the once a month organizing plan. OK, I will stick to the once a month pantry organizing plan. Do you clean yours more often than this? I would love to know because I’m just guessing here. There doesn’t seem to be a rule on pantry cleaning frequency anywhere. Let’s Get One Thing Straight: Canned Foods can expire but not as quickly as I thought. I was having a little discussion with friends and I was surprised at how many of them believed that canned goods live forever. To make my point, I tried to find expiry dates on some of my canned foods in the pantry. This was interesting. Hardly any of them actually had an expiry date printed on them. Most only had the date that they were canned. Now I understand our confusion. 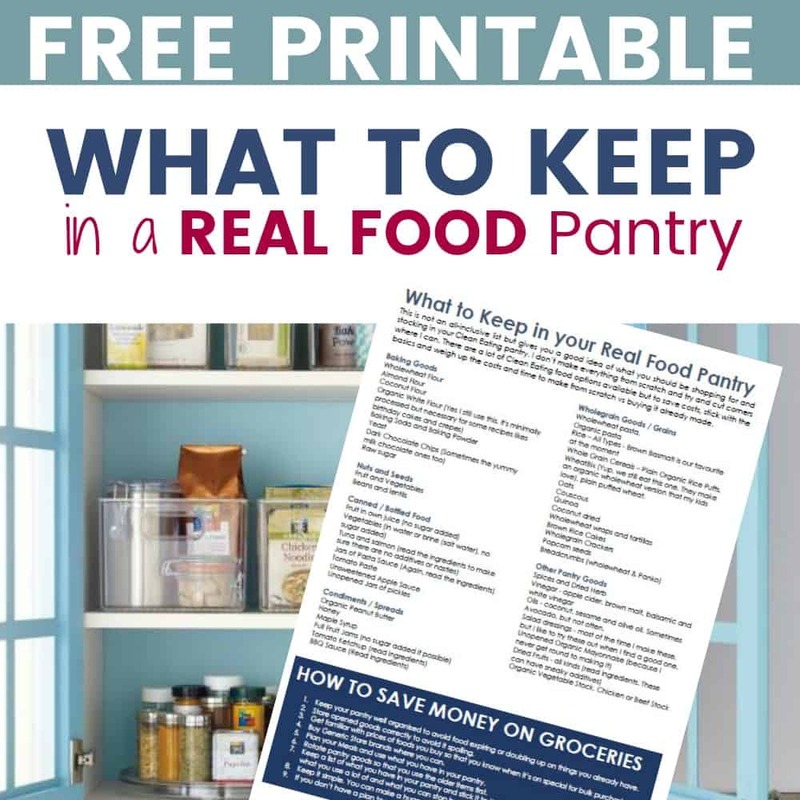 The general rule of thumb is that canned food has a shelf life of at least two years from the date of purchase.—but keep the food in a cool, dark place and in good condition, and you can likely safely double that shelf life from 3 to up to 6 years. It’s a little like Russian Roulette. I can only imagine that we are meant to guess whether the food is OK to eat! Or (and I feel this is a better option) we can go with a little common sense. Open it, smell it and if it’s even a little funky, TOSS IT! Keeping a well sorted pantry can avoid all of this fuss. Keep out of Sunlight: Direct exposure to Sun can actually affect food quality, color and flavor. The Right Space: Keep your canned goods in a cool, dark spot like a pantry or drawer. Check the expiry date. Canned food can expire. This can vary from 1 – 4 years, depending on the type of food, how the can was stored and the condition of the can. Check for rust spots, leakages or can damage. Canned food is sealed to prevent bacterial growth. Toss any cans that look as if they are no longer airtight. They will not be safe to eat. Because that’s where I keep my canned goods. Bottom shelf. A little to the left. 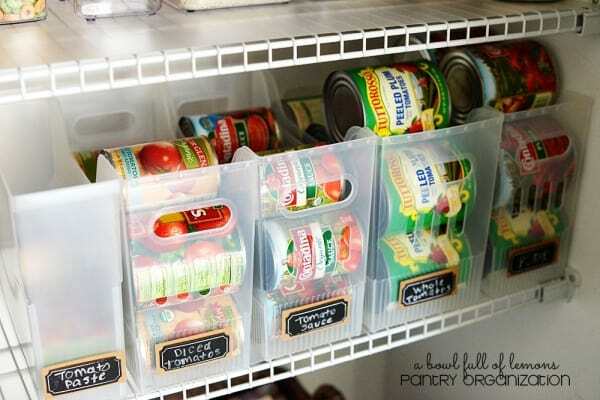 If you already have a canned food storage system in place, then Well Done! For the rest of us, who simply stack cans willy nilly (how often do you get to use that phrase?) one on top of the other onto the bottom dust gathering shelf of the pantry – you know who you are – You may get a little inspiration from this list. I delayed spending money on a canned goods organiser for, well until now. My system wasn’t working. I found myself buying food I already had, letting things get to old simply because I didn’t see them in the back. We were wasting food and money. And I don’t like doing either. After a couple sessions on Pinterest admiring the gorgeous pantry designs some people have I realized I needed to be a bit more realistic. My pantry is not picture perfect (Take a look at what my pantry looked like BEFORE we started eating Clean) It’s more of a working family’s kind of pantry. It needs to be practical and easy to navigate and at the same time showcase all the ingredients we have available. And fit behind closed doors. 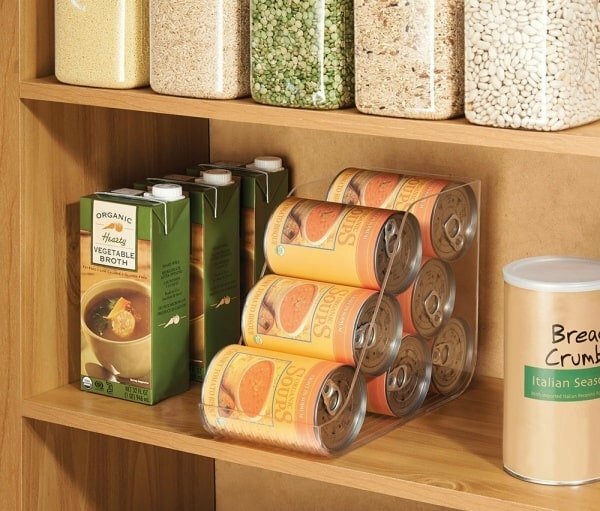 Here are 10 of the Best Canned Food Storage Ideas Available. For those of you who are happy to whip out the tool belt for this little dilemma, take a look at this in built Canned Food Storage Organizer. It makes great use of that clutter gathering space at the bottom of the pantry. You can get the full tutorial from Shanty and Chic. DIY’ing this one is not high on my priority list right now. I need an instant fix that works right now and in the future too. There are quite a lot of really good canned goods storage options available which surprised me a bit, but here are my favorites. 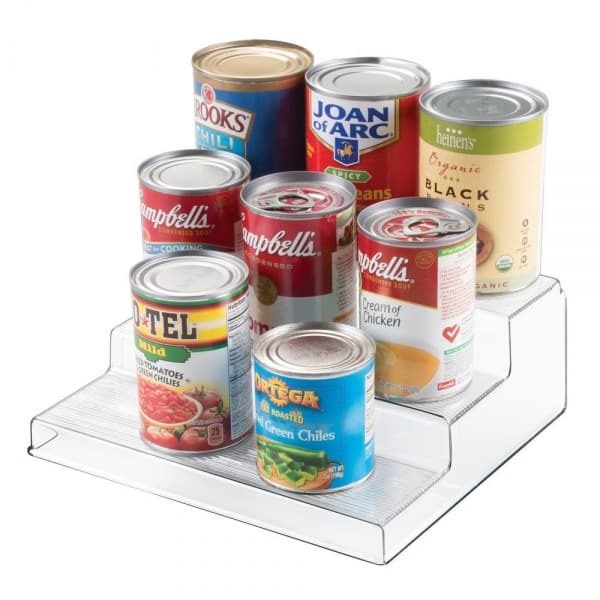 These canned food organizers off Amazon are easy to clean and you can stack three tiers of canned goods on a shelf. If you keep your cans in a drawer, then take a look at this brilliant idea from Motorhome. Write on the top of the cans with a permanent marker! Cant believe I never thought of this one on my own. This isn’t too much hard work, and is cheap and effective. 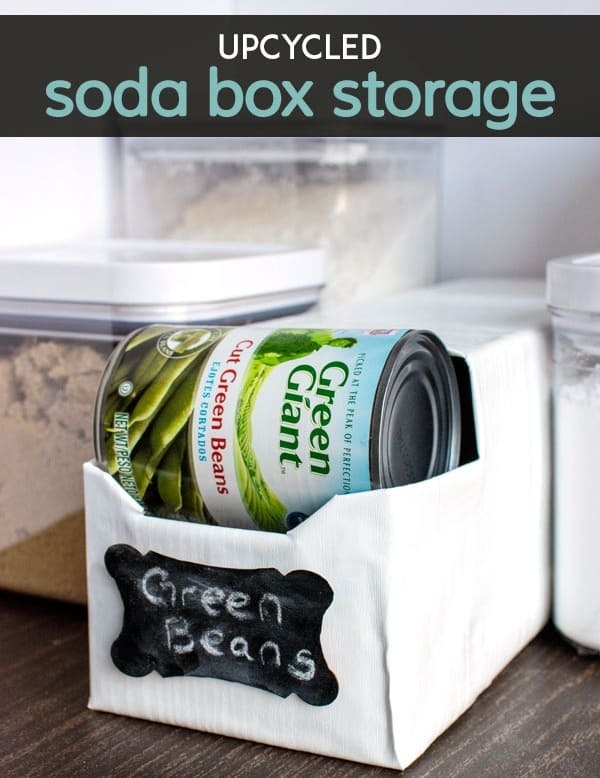 Start collecting old soda can boxes and cover with gift paper for a made to fit canned goods filing system that fits perfectly under a pantry shelf. No Soda Cans in the house? Of course not. We dont drink that stuff do we? You can get these transparent storage boxes from any dollar shop and add your own cute label like these from A Bowl full of lemons. 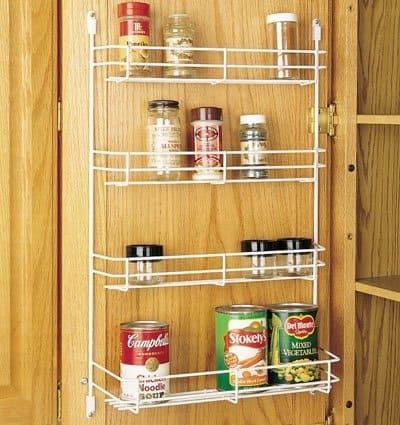 Closet racks do a great job keeping canned goods in order. They even have a handy little ‘lip’ at the bottom to stop the cans rolling on to the floor. 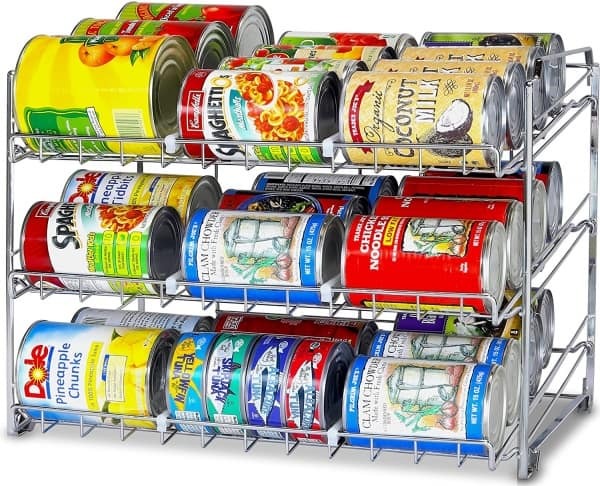 Simple, clean and clear shelf stackers let you keep cans neatly stacked and easily visible. 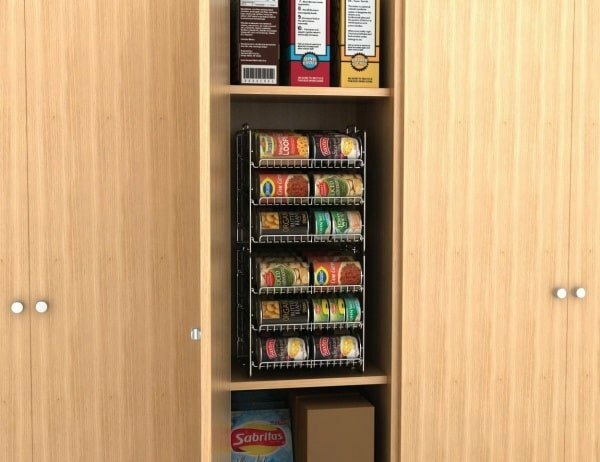 If you don’t have a lot of shelf space in your pantry, then take a look at this design. It’s a double height can storage with a two can width so that it can fit in slim cupboards or narrow space next the fridge. This three tiered plastic shelf elevates the cans at the back so that you can see the ones in the back. Maybe you have a super small pantry or simply running out of shelf space? I recently added two of these behind the door organisers to my pantry door – one I use for spices and the other for cans and condiments. Thumbs up to the guy who invented canning! The canning process extends the shelf life of foods that would otherwise go rotten in a couple of days. They are relatively well priced and make meal planning a lot easier. QUICK MOMMY TIP: Take a quick look through the cans you have in your pantry to make sure none of them looking suspect and you aren’t wasting money buying ingredients you already have.